Coverage should be your top consideration when choosing a new mobile network. Find out how to compare mobile phone coverage in your area. If you’re choosing a new mobile network, the level and quality of coverage should be the first thing you consider. If your mobile network has poor coverage, potential problems include missed phone calls, delayed messages and web pages failing to load. It can also result in substantially poorer battery life as your handset will need to work harder to maintain a connection. At first glance, it may seem like a daunting challenge to find the mobile network offering the best coverage in your area. This is because there are more than 30 mobile network brands to choose from in the UK. In reality, however, things are much simpler to compare as all of the 30 different mobile networks use one of four underlying coverage providers. 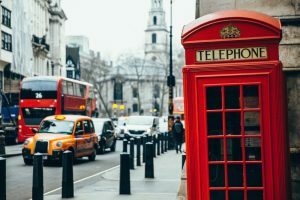 In this article, we’ll discuss everything you need to know about mobile coverage in the UK. We’ll start by showing you how to check and compare coverage on different networks. We’ll also discuss the UK’s system of mobile virtual network operators (MVNOs): understanding this will make it much easier to compare coverage on different networks. Finally, we’ll discuss the factors that can influence your coverage and will present some apps & accessories for improving your coverage. In the UK, only four companies hold a license to build and maintain their own mobile network infrastructure. These companies are EE, O2, Three and Vodafone. They each license some spectrum from the Government and build their own network of mobile phone masts to cover the country. In addition to the four network coverage providers, there are a large number of mobile virtual network operators (MVNOs for short). 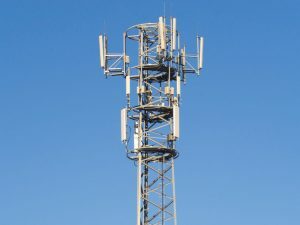 MVNOs do not maintain their own mobile network infrastructure: instead, they piggyback on infrastructure from one of the four coverage providers. As a result, the signal and coverage you receive on a MVNO is exactly the same as coverage on the underlying provider. 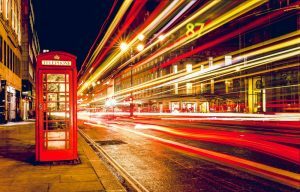 There are many examples of MVNOs in the UK. For instance, BT Mobile is a MVNO using the EE network and giffgaff is a MVNO using the O2 network. Although you might receive a BT Mobile or giffgaff branded service, the underlying coverage will still be coming from either EE or O2. In the table below, we’ve provided a list of UK mobile networks. For each mobile network, we’ve shown the underlying coverage provider and the types of coverage available on that network. You can click on the relevant link for each network to access an online coverage map and coverage checker. 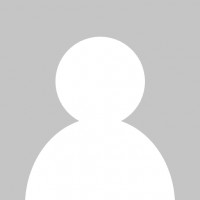 * FreedomPop uses the mobile data connection for calling and texting. This means the coverage and service reliability is more limited compared to other networks using Three. ** TalkTalk Mobile closed to new customers in April 2017. TalkTalk home broadband customers are now offered a discounted contract from O2. The mobile networks highlighted in bold maintain their own mobile network infrastructure. All other mobile networks are considered to be MVNOs, piggybacking on the coverage provider listed. The first step in assessing mobile coverage is to use the relevant online coverage map applicable to your mobile network. You can use the table above to find the relevant coverage map for mobile networks you’re thinking of joining. When you’re on the online coverage map, it’s worth checking all of the places where you might regularly spend some time. So besides your home address, you may also want to check the coverage at your school, university, local pub or workplace. You should ideally be looking for a mobile network that provides you with good coverage in all of these places. Finally, it’s worth spending a little bit of time to review the types of coverage available. For a smooth experience, you should have indoor coverage and if you’re a smartphone user, this should be either 3G or 4G coverage. If you’re using a basic handset without smartphone capabilities, it may be necessary to have 2G coverage from your network. If possible, you should choose a mobile network that offers you both indoor and outdoor coverage. This is vital if you want to use your phone inside a building. If your mobile network only claims to offer outdoor coverage, we’d recommend staying clear as you’re likely to have a poor experience. Please be aware that actual indoor coverage depends on a number of factors that are not always considered by online coverage maps. Factors affecting your indoor coverage can include building construction materials, insulation, your location inside the building and the proximity of other nearby buildings. For instance, if you’re living in a basement flat, your actual indoor coverage may be worse than suggested in online maps. If you have reason to believe this might be the case, you can order a free Pay As You Go SIM card to test out your coverage. If you’re struggling to find a mobile network with good indoor coverage, consider using one of the apps or accessories listed here to improve it. 2G is the oldest type of mobile network still in use today. It’s mainly designed for calling and texting, but you can also use it to browse the internet at dial-up speeds. 3G (recommended minimum) is the basic level of coverage expected on mobile networks today. It allows you to call, text and browse the internet on your smartphone. A good 3G connection should provide broadband-level speeds and should be fast enough for most activities on your smartphone (including online radio, online video and downloading). 4G is the latest generation of mobile technology, with download speeds around 5 to 10 times faster than 3G. While it isn’t necessary for a good smartphone experience, you’ll find it a lot zippier and smoother when using 4G instead of 3G. Where possible, we’d strongly recommend choosing a mobile network with either 3G or 4G coverage. On basic handsets without smartphone functionality, it may be necessary to choose a mobile network that supports 2G coverage (available on all networks, except Three and Three’s MVNOs). You can order a free Pay As You Go SIM card to test the coverage on each provider. Finally, it’s worth noting that online coverage maps only provide a computer-generated prediction of what the coverage will be like in your area. This prediction is based solely on geography and the location of phone masts. However, as previously discussed, actual real-world coverage may differ due to other factors (e.g. building construction materials). Before signing up to a lengthy 24-month contract, it may be worthwhile carrying out a real-world experiment on coverage. For instance, ask people living in your household about their experience of using a certain network coverage provider. Is their mobile service normally reliable at home? Do they ever experience any problems with indoor coverage? A further way to test this out is to order a free Pay As You Go SIM card from the mobile network you’re planning to join (or you can get a free SIM card from any mobile network sharing the same coverage provider). 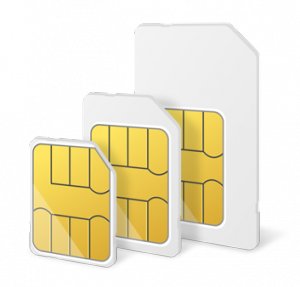 You can insert the free SIM card into any unlocked smartphone to test the level of coverage. How many bars of signal are you able to get on that mobile network? Are you able to use it indoors without any problems? In the UK, there are four network coverage providers: EE, O2, Three and Vodafone. Please refer to the detailed coverage maps (linked below) for an overview of the services available where you live. EE is the UK’s largest mobile network provider. Formed from the merger of Orange and T-Mobile in 2010, the company became a part of the BT Group in 2016. As of 2018, EE offers high-speed 4G coverage directly to consumers through the BT Mobile and EE brands. A number of MVNOs use coverage from EE: notably ASDA Mobile, 1p Mobile, Plusnet Mobile (also owned by BT) and Virgin Mobile. Most MVNOs offer access to both 3G and 4G coverage, but a number are restricted to offering just 3G coverage. As of 2018, EE has 99% population coverage and 90% geographical coverage for 4G internet. This is the widest 4G coverage of any UK mobile network. Double-speed 4G coverage currently stands at 80% and 4G+ coverage is available to customers in London. In 2015, EE won a government contract to provide the UK’s emergency services network. As such, EE is investing heavily in improving rural coverage. 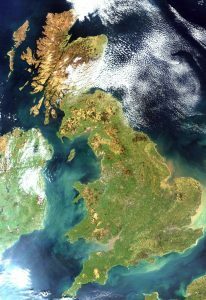 Their 4G network is therefore expected to cover 95% of the UK’s landmass by 2020. O2 provides a mobile service through their own branded network. They also power the underlying coverage for MVNOs like giffgaff, Lycamobile, Sky Mobile and Tesco Mobile. In general, we’d recommend giffgaff as a better value way of accessing coverage from O2 at a lower price. All of O2’s MVNOs provide access to both 3G and 4G coverage. As of 2018, O2 had 99% population coverage on 4G. Three is the UK’s newest network coverage provider. As of 2018, they claim to have 98.3% population coverage on 3G and 99.8% population coverage on 4G. MVNOs using coverage from Three include iD Mobile from the Carphone Warehouse, SMARTY (a sub-brand of Three) and Superdrug Mobile. It’s worth noting that Three doesn’t provide any 2G coverage. For this reason, it’s not possible to use a 2G-only handset on Three or on Three’s MVNOs. For customers using their phone in a rural area, it may be advisable to instead choose a rival mobile network with coverage from either EE, O2 or Vodafone. 2G Coverage: Not available: you’ll need a 3G handset. In the UK, Vodafone provides 98% population coverage. Of this, 97% population coverage is on 4G. As well as providing services to the consumer directly through their core brand, Vodafone operates a youth orientated sub-brand called VOXI (available to under-30s only). They also provide the underlying coverage for Lebara Mobile. It might be possible to use app or accessory for better indoor coverage. BT Mobile: Customers with a compatible BT Mobile smartphone can use BT’s Wi-Fi Calling service to make and receive phone calls over wi-fi. EE: On EE, it might be possible to use wi-fi calling (this requires you to have a handset that’s compatible with the service). An EE signal box may also be available to customers who lack a smartphone with Wi-Fi Calling support. iD Mobile: iD Mobile offers wi-fi calling to customers who have a compatible smartphone. O2: Customers with a compatible handset on O2 can use O2’s Wi-Fi Calling service. Three: Customers on Three can use the inTouch application to make and receive phone calls over a wi-fi connection. Alternatively, it may also be possible to request a Home Signal box. Vodafone: Vodafone has a wi-fi calling service for compatible smartphones. For anyone using a non-compatible handset, it may be possible to buy a Vodafone Sure Signal. Most lower-cost MVNOs do not apps and accessories for better indoor coverage. The UK has a large number of MVNOs (a selection are shown in this image). The UK has just four network coverage providers: EE, O2, Three and Vodafone. These coverage providers manage all of the fixed network infrastructure (including the required licenses and the network of mobile phone masts). Mobile virtual network operators (MVNOs) piggyback on capacity from a network coverage provider. These MVNOs include BT Mobile, giffgaff and iD Mobile, provide a mobile service on top of the coverage provider’s infrastructure. The underlying coverage will come from the network coverage provider, but things like billing and customer support will be handled by the MVNO. 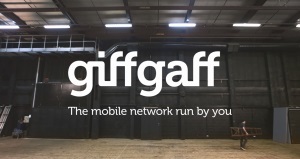 giffgaff is a MVNO on the O2 network. It’s targeted at younger and more price-conscious consumers. In some cases, MVNOs are either owned or partly-owned by the underlying coverage provider. 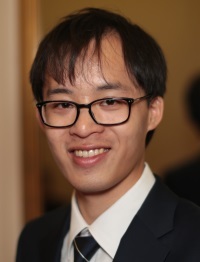 This is a common technique for targeting different groups of customers. For instance, giffgaff is a subsidiary of O2 targeted at younger and more price-conscious consumers. Lower prices can be offered on a sub-brand without cannibalising the revenues made on the core brand. Armed with this knowledge, savvy consumers can often save substantial amounts of money by switching to a low-cost MVNO. You’ll receive the exact same coverage, often at a vastly reduced cost. The information in the table above shows the current line-up of UK virtual network operators. In the past, MVNOs have sometimes changed their underlying coverage provider. This has led to changes in the coverage they offer. ASDA Mobile. In October 2013, ASDA Mobile switched to using the EE network. Prior to this, ASDA Mobile operated on the Vodafone network. BT Mobile. The current BT Mobile service launched to consumers in March 2015 using EE’s mobile network. Prior to this, BT had a business-only mobile service which operated on Vodafone until summer 2014. Delight Mobile. From July 2011 to July 2018, Delight Mobile offered coverage from EE. In July 2018, the service closed down with customers being transferred to Vectone Mobile. Family Mobile. Family Mobile (originally from IKEA and then from Coms Mobile) previously used coverage from EE. The service closed in August 2015. LIFE Mobile. In November 2016, customers on LIFE Mobile transitioned to Plusnet Mobile. Customers who originally signed up for a LIFE Mobile plan were moved over to the Plusnet Mobile service. Lycamobile. In 2010, Lycamobile switched to using the O2 network. Prior to this, Lycamobile used the Orange network. Mobile by Sainsbury’s. From July 2013 to January 2016, Sainsbury’s had an own-brand mobile network using coverage from Vodafone. Orange & T-Mobile. In October 2011, Orange and T-Mobile merged their network operations under the EE brand. The combined networks of Orange and T-Mobile became the 2G and 3G network of EE. In addition, EE launched a 4G network under their own brand but this wasn’t made available to customers on Orange or T-Mobile. In February 2015, Orange and T-Mobile closed their service to new customers. OVIVO Mobile. OVIVO Mobile previously used coverage from Vodafone. The service closed on March 19th 2014. Post Office Mobile. The Post Office Mobile previously used coverage from EE. The service was closed in August 2016. TalkTalk Mobile. TalkTalk Mobile previously used coverage from Vodafone. The service was closed to new customers in April 2017. Customers of TalkTalk home broadband are now offered a discounted contract from O2. Tello. Tello previously used coverage from Three. The service was closed in January 2018. The People’s Operator. TPO Mobile (The People’s Operator) closed in February 2019. It offered coverage from Three between July 2016 and February 2019, and coverage from EE between November 2012 and July 2016. We'd love to hear your thoughts and any questions you may have. So far, we've received 132 comments from readers. You can add your own comment here. Thank you for the helpful information posted on your site.Can you confirm if which network providers do offer the fastest 4G connection in the UK? Thanks for your comment. Unfortunately, there isn’t really a simple answer to this question! If you were to look at Ofcom’s published data on download speeds, it would tell you that EE has the fastest 4G download speeds in the UK. In reality, however, this will depend on so many different factors (e.g. your proximity to the nearest phone mast, the amount of congestion on the network, the time of day, the type of plan you have, etc). For this reason, it’s recommended to do a coverage check for each network (and experimenting with multiple different SIM cards in your location if you want a definitive answer). 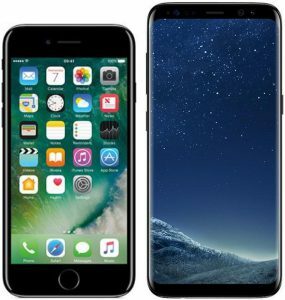 Im looking to bring in a non mainstream mobile. The details provided on the webpage are as below. Im not entirely sure how to read/compare networks to see if the phone is compatible. Could you please give us a bit more info on some of the technicalities of call reception and calls going straight to voicemail, SMS etc. I’m in a little bit of a deadspot at home on EE, barely getting 1 bar on my 3G but 4G capable phone. It’s pretty common for me to have calls going straight to voicemail or a bunch of SMSs piling up altohught it’s not often I can’t make a call myself. I only have to walk 50m and the reception is pretty good so it’s not the phone, it’s my unlucky home location with probably a few blocks of flats between me and antennas. I call EE to ask if there was anything they could do and they implied upgrading to 4G would ‘easily fix the issue’. Also they told me they were ‘decommissioning old 3G antennas’ and the one nearest me was one of those recently decommissioned. Think they also mentioned that 4G had a better range (any truth to this?). Anyway the gist was 4G would fix all my voice problems. So what I would like to know is. Does it matter to call reception if the data is 3G or 4G? Are voice calls sent on 3G or 4G bandwidth or something different? And if so, would 4G mean I’m more likely to actually have my phone ring when someone tries to call me at home. Any other decent facts about how voice calls/SMS etc differ from 3G and 4G would also be welcome. I’m getting the feeling I was bamboozled into signing a new contract when in actuality it would have made no difference to general call reception. I’ve got 14 days to get out of the contract so would like some help with some hard facts before I accept their reasoning or tell them to stuff it. Unfortunately O2/Vod and 3 are actually worse reception wise so it’s purely going to be a case of whether I can put up with EE’s potentially alternative facts about 4G. 1. Yes, it’s true that some older 2G and 3G spectrum is currently being “re-farmed” for 4G. This means the spectrum is being “converted” so it delivers a 4G signal, rather than a 2G or 3G signal which fewer people are now using. On the specifics of what has happening in your area, I’m not sure, but I am not aware of any large-scale switch-off of 3G. 2. In many cases, 4G will give you better coverage compared to 2G and 3G. This is because many 4G services use a lower-frequency spectrum compared to 3G. For instance, EE uses 800MHz and 1800MHz for 4G (vs 2100MHz for 3G). The lower frequency spectrum should travel further indoors. 3. On the contrary, 4G coverage won’t normally help you with voice coverage. This is because most mobile phones still use a technology called CSFB (Call Switched Fallback), falling back to 2G or 3G when you have an incoming voice call. Therefore, if you don’t have adequate 2G or 3G coverage, you will still find phone calls failing. Some mobile phones do now support 4G Calling, but you’ll need to make sure you have a compatible handset and price plan. As an aside, some mobile networks also offer Wi-Fi Calling, which can help in areas with poor coverage. 4. I would potentially agree with your assessment. Unless you have a handset or price plan that’s compatible with 4G Calling, I would not expect the addition of 4G coverage to improve phone call reliability (as your phone will still need to fall back on 2G or 3G). Amazing response. Thank you. In the end I moved to GiffGaff, as it will be easy to move back to something more appropriate once I found it. Still missing voice/sms calls but I’m paying much less as I now know what is pointless to pay extra for.